No. Not Tungsten. Why? Because many of us that used to work for FreeFlow just didnt see the point. Players on Lockout also gravitated toward the Stainless Hammers. So we modeled ours off of the Tungsten Hammer, but made from Stainless Steel. Nylon Set-Screws hold the Lug & Cocking rod tight. 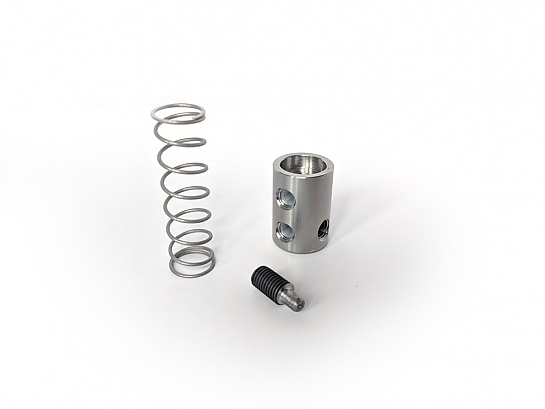 The FreeFlow Hammer Kit comes with the FreeFlow Hammer, Nylon Set Screws, Lug, and Main Spring and will work in virtually all Classic-Style Autocockers.